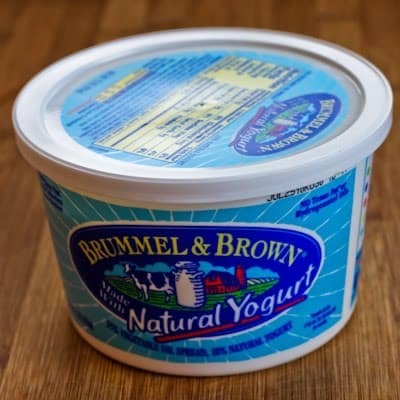 The nutritional stats for Brummel and Brown Spread are pretty amazing too, and I am working on some new decadent dessert recipes using this fabulous butter alternative! Check out their website to find out where you can buy it, but it’s available at many large grocery store chains. We have been using this for so many years now that it is very satisfying to our “butter loving” palette. I only use real butter in certain recipes that must have it, which is not often in our house. For those who haven’t tried it, I highly recommend it! I’m addicted to B&B also – I’m truly a butter person but it’s just so high in points. I swore off margarine years ago but finally broke down and bought this since it was recommended on the Hungry Girl site. And so far I am happy! Good to know! I have been off and on the WW bandwagon (hoping to get back on in the New Year!) but I also have high cholesterol. Finding a butter alternative is hard!